Day after day, new #friends... and maybe more. Gossy is the opportunity to meet people by discovering unique people , close to you or on the other side of the world. Expand your circle of knowledge, share moments in real time and from anywhere! 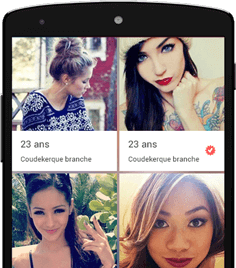 Whether chatting, making new friends or even finding love, our free app will allow you to meet mega cool people! A favorite ? If you have a crush on someone, report it without delay. In return, find out which members are attracted to you and initiate the conversation. It may be the beginning of a beautiful love story... or a beautiful friendship. Crushes are a way to attract the attention of a profile without having to write to it. But from one moment to another, it will be necessary to start sending him/her your most beautiful message via the free chat. 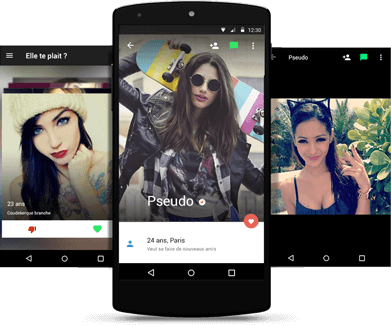 Gossy is a social dating network, in the broad sense of the term. Singles or married, teenagers or adults, earthlings or aliens, everyone can join the community! Far from the traditional dating site, Gossy is above all a platform for communication and contacts. Chat application, dating site 2.0 ... Call it whatever you want! Are you looking for great love? Of course you can find the soul mate here! Navigate between the different profiles and chat with the one you like. Most of our services are free. Every day, discusses for free with unlimited messages with a panel of members you have chosen. There is nothing more simple ! Free service does not mean discounted service: all profile photos are manually controlled, 24 hours a day, to reduce the risk of unpleasant surprises. Needless to say more, just register in 30 seconds and check for yourself.